Cool surprise gift for her birthday. This pretty ring perfectly adds to her style statement. 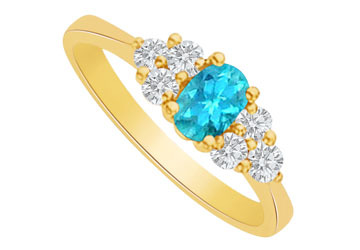 Center stone created blue topaz is fixed in prong setting over the shank made of yellow gold vermeil over sterling silver. 2.00 CT TGW.